Croatia is set to become the 28th member state of the European Union! Croatia’s accession to the EU is an eye opener, making this otherwise mainly touristic country the next Mediterranean jewel for Europe and the rest of the world to do business with. The European Union membership will undoubtedly result in a rapid increase in the trade of goods between Croatia and other EU member countries and global economies. It is expected that a lot of new companies, both European and overseas will establish their business and branch office in Croatia, following this important news. Get a head start – register your Croatian .HR domain name! The popularity of Croatia’s domain name extension .HR has been growing steady, as local companies clearly prefer to use their own country code top-level domain (ccTLD) rather than other extensions such as .EU, .COM etc. Registering a .HR domain is a great opportunity for internationally minded companies to introduce their brands to the Croatian market through a truly local website. All studies show that displaying a local .HR domain instills trust and recognition in your online presence. 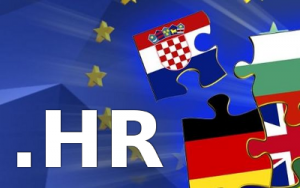 In order to register a .HR domain, Croatia require that the domain applicant is a company incorporated in Croatia. However, many companies opt to use Web Solutions’ Local Presence Service for Croatia. With that service, no physical presence is required. For more information visit .HR domain name registration info page. As an alternative to the restricted .HR domain, you can opt to register a .COM.HR domain. It is unrestricted, and can be registered immediately.